This week’s wine of the week is the Carpenè Malvoti Brut Rosè. Have you recently noticed a wide selection of pink wines at your local wine shop? Rosè is a popular pairing for white meat dishes, which makes it a brilliant wine choice for Thanksgiving. Subtle flavors of the turkey are enhanced by the fresh, aromatic, and slightly fruity taste of a chilled rosè . 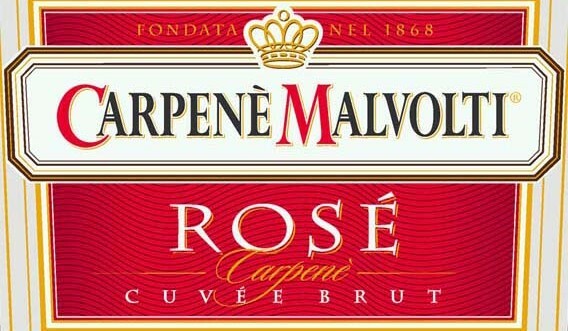 Award winning Carpenè Malvoti Brut Rosè is imported from Italy and is made with 85%R Pinot Nero and 15% Raboso grapes. The wine bouquet is perfumed and floral with elegant, yet intense notes of wild berries and morello cherries. We recommend a tulip glass when serving this beautiful rosè for your holiday meal.